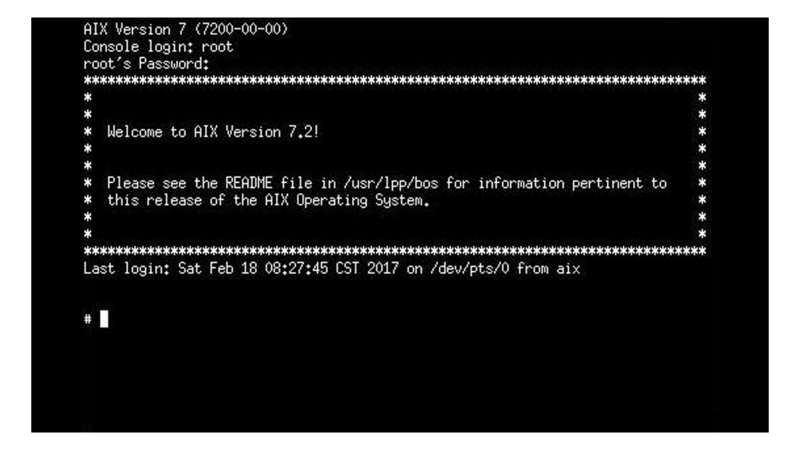 IBM® AIX® is an enterprise-class UNIX operating system (OS) for the POWER® processor architecture found in IBM Power Systems™. Today’s global business must rely on an infrastructure that is secure, highly available and able to adapt quickly to changing business needs. AIX delivers these capabilities and more, with the performance, reliability and security that your mission-critical data demands. AIX has a strong, long-standing security focus and reputation. Security features include Trusted AIX to easily harden security settings and Trusted Execution to control system integrity. AIX has high reliability and is recognized for having low unplanned downtime. This powerful UNIX OS provides high-value features such as AIX Live Update for OS updates without a system restart. With a 30-year history of innovation, AIX continues to deliver a robust release roadmap. Binary compatibility allows applications to run unchanged and without recompilation on the newest releases.